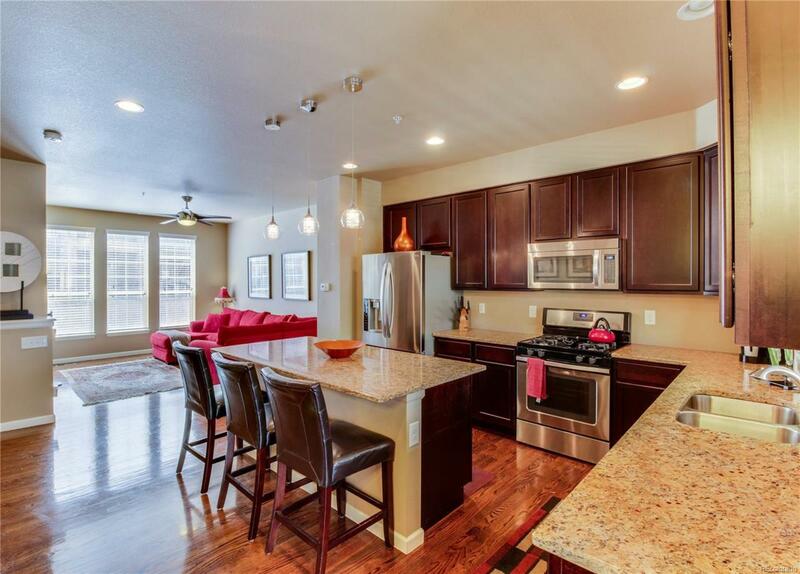 Welcome to this 2 bed/3 bath town home at Clocktower in Highlands Ranch, where modern conveniences meet the tranquility of nature. Mainlevel has open floor plan, gourmet kitchen with stainless steel appliances that includes a gas range and granite counter tops. This homefeatures high end designer finishes that include 42" maple cabinets. Even more value with all inclusive features such as central airconditioning & gas fireplace. Laundry on upper bedroom level for your convenience. Unfinished small basement on lower level for extrastorage. Patio in front with expanded deck on main level and beautiful views. Two car attached garage with extra storage. Located withinwalking distance to Civic Green Park & Highlands Ranch Town Center, featuring a wide range of shops, restaurants & services. Come see thisbeautiful town home today! Offered by True Realty, Llc.